When you buy, buy at Brooks! Check out this 2018 Dodge Journey SE! Option and features include: ENGINE: 2.4L I4 DOHC 16V DUAL VVT as well as Front-wheel drive, 20.5 Gal. Fuel Tank, Deep Tinted Glass, Speed Sensitive Variable Intermittent Wipers, Fully Automatic Aero-Composite Halogen Daytime Running Headlamps w/Delay-Off, Perimeter/Approach Lights, 6 Speakers, Graphic Equalizer, Integrated Roof Antenna, Cruise Control w/Steering Wheel Controls, Full Floor Console w/Covered Storage and 4 12V DC Power Outlets, 4.3" touch screen display, 4 12V DC Power Outlets, Dual Stage Driver And Passenger Seat-Mounted Side Airbags, Dual Stage Driver And Passenger Front Airbags, Curtain 1st And 2nd Row Airbags. As always, we appreciate the opportunity to earn your business! Call us to schedule a test drive at 251-246-7224! When you buy, buy at Brooks! Check out this 2018 Jeep Renegade Latitude! Option and features include: ENGINE: 2.4L I4 MULTIAIR as well as 12.7 Gal. Fuel Tank, Spare Tire Mobility Kit, Black Grille w/Chrome Accents, Perimeter/Approach Lights, Fully Automatic Aero-Composite Halogen Daytime Running Headlamps w/Delay-Off, Front Fog Lamps, Radio w/Seek-Scan, Clock, Speed Compensated Volume Control, Aux Audio Input Jack, Steering Wheel Controls, Voice Activation, Radio Data System and External Memory Control, 6 Speakers, Streaming Audio, 2 LCD Monitors In The Front, 6-Way Driver Seat -inc: Manual Recline, Height Adjustment and Fore/Aft Movement, Remote Releases -Inc: Power Fuel, Full Floor Console w/Covered Storage, Mini Overhead Console w/Storage and 2 12V DC Power Outlets, 2 12V DC Power Outlets, Dual Stage Driver And Passenger Seat-Mounted Side Airbags, Dual Stage Driver And Passenger Front Airbags, Curtain 1st And 2nd Row Airbags. As always, we appreciate the opportunity to earn your business! Call us to schedule a test drive at 251-246-7224! When you buy, buy at Brooks! Check out this 2018 DODGE JOURNEY SXT ! Option and features include: ENGINE: 3.6L V6 24V VVT as well as Engine: 3.6L V6 24V VVT -inc: Engine Oil Cooler, Flex Fuel Vehicle, Dual Bright Exhaust Tips, 3.16 axle ratio, Transmission w/Oil Cooler, Front-wheel drive, Gas-Pressurized Shock Absorbers, 20.5 Gal. Fuel Tank, Fully Automatic Aero-Composite Halogen Daytime Running Headlamps w/Delay-Off, 6 Speakers, Graphic Equalizer, Full Floor Console w/Covered Storage and 4 12V DC Power Outlets, 4.3" touch screen display, 4 12V DC Power Outlets, Dual Stage Driver And Passenger Seat-Mounted Side Airbags, Dual Stage Driver And Passenger Front Airbags. As always, we appreciate the opportunity to earn your business! Call us to schedule a test drive at 251-246-7224! 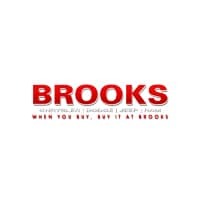 When you buy, buy at Brooks! Check out this 2018 Ram ProMaster City Cargo Van Tradesman! Option and features include: ENGINE: 2.4L I4 MULTIAIR as well as Suspension w/HD Stabilization, Gas-Pressurized Shock Absorbers, 16.1 Gal. Fuel Tank, Rear Cargo Door Window Insert Panel, Aero-Composite Halogen Headlamps w/Delay-Off, 4 Speakers, Streaming Audio, Integrated Voice Command w/Bluetooth, 5.0" Touchscreen Display, Cargo Van Group, Power 1st Row Windows w/Driver And Passenger 1-Touch Up/Down, 3 12V DC Power Outlets, Dual Stage Driver And Passenger Seat-Mounted Side Airbags, Dual Stage Driver And Passenger Front Airbags. As always, we appreciate the opportunity to earn your business! Call us to schedule a test drive at 251-246-7224! When you buy, buy at Brooks! Check out this 2018 Jeep Renegade Altitude! Option and features include: as well as Wheels: 18" x 8.0" Gloss Black, Black front bumper, Black Rear Step Bumper, Black Bodyside Cladding and Black Wheel Well Trim, Deep Tinted Glass, Black Grille w/Chrome Accents, Side Impact Beams, Dual Stage Driver And Passenger Seat-Mounted Side Airbags, Dual Stage Driver And Passenger Front Airbags, Curtain 1st And 2nd Row Airbags. As always, we appreciate the opportunity to earn your business! Call us to schedule a test drive at 251-246-7224! When you buy, buy at Brooks! Check out this 2018 Ram ProMaster City Cargo Van Tradesman! Option and features include: ENGINE: 2.4L I4 MULTIAIR as well as Engine: 2.4L I4 MultiAir, Suspension w/HD Stabilization, Front-wheel drive, Block Heater, 16.1 Gal. Fuel Tank, Variable Intermittent Wipers, Rear Cargo Door Window Insert Panel, Galvanized Steel/Aluminum Panels, Aero-Composite Halogen Headlamps w/Delay-Off, 4 Speakers, Streaming Audio, Integrated Voice Command w/Bluetooth, Full Overhead Console w/Storage, Conversation Mirror and 3 12V DC Power Outlets, 5.0" Touchscreen Display, Dual Stage Driver And Passenger Seat-Mounted Side Airbags, Dual Stage Driver And Passenger Front Airbags. As always, we appreciate the opportunity to earn your business! Call us to schedule a test drive at 251-246-7224! When you buy, buy at Brooks! Check out this 2018 DODGE JOURNEY SXT ! Option and features include: ENGINE: 3.6L V6 24V VVT as well as 3.16 axle ratio, GVWR: 5,250 lbs, 4-Wheel Disc Brakes w/4-Wheel ABS, Front Vented Discs and Brake Assist, Deep Tinted Glass, Fully Automatic Aero-Composite Halogen Daytime Running Headlamps w/Delay-Off, Perimeter/Approach Lights, Front Fog Lamps, 6 Speakers, 4.3" touch screen display, Sentry Key Engine Immobilizer, 4 12V DC Power Outlets, Dual Stage Driver And Passenger Seat-Mounted Side Airbags, Tire Specific Low Tire Pressure Warning, Dual Stage Driver And Passenger Front Airbags, Airbag Occupancy Sensor. As always, we appreciate the opportunity to earn your business! Call us to schedule a test drive at 251-246-7224! When you buy, buy at Brooks! Check out this 2019 Jeep Cherokee Latitude! Option and features include: as well as Engine: 2.4L I4 Zero Evap M-Air w/ESS, Spare Tire Mobility Kit, Variable Intermittent Wipers, Lip Spoiler, Liftgate Rear Cargo Access, Radio: Uconnect 4 w/7" Display, 6 Speakers, 60-40 Folding Split-Bench Front Facing Manual Reclining Fold Forward Seatback Cloth Rear Seat, Cruise Control w/Steering Wheel Controls, Driver And Passenger Visor Vanity Mirrors, Side Impact Beams, Dual Stage Driver And Passenger Front Airbags, Curtain 1st And 2nd Row Airbags. As always, we appreciate the opportunity to earn your business! Call us to schedule a test drive at 251-246-7224! When you buy, buy at Brooks! Check out this 2019 JEEP CHEROKEE LATITUDE ! Option and features include: ENGINE: 2.4L I4 ZERO EVAP M-AIR W/ESS as well as 1000# Maximum Payload, 15.8 Gal. Fuel Tank, Fully Automatic Projector Beam Led Low/High Beam Daytime Running Headlamps w/Delay-Off, Radio: Uconnect 4 w/7" Display, Radio w/Seek-Scan, Clock, Speed Compensated Volume Control, Aux Audio Input Jack, Voice Activation, Radio Data System and Uconnect External Memory Control, 6 Speakers, 6-Way Driver Seat -inc: Manual Recline, Height Adjustment and Fore/Aft Movement, 3 12V DC Power Outlets, Dual Stage Driver And Passenger Front Airbags, Curtain 1st And 2nd Row Airbags. As always, we appreciate the opportunity to earn your business! Call us to schedule a test drive at 251-246-7224! When you buy, buy at Brooks! Check out this 2019 Jeep Cherokee Latitude! Option and features include: ENGINE: 2.4L I4 ZERO EVAP M-AIR W/ESS as well as Front-wheel drive, Gas-Pressurized Shock Absorbers, 15.8 Gal. Fuel Tank, Fully Automatic Projector Beam Led Low/High Beam Daytime Running Headlamps w/Delay-Off, Front Fog Lamps, Perimeter/Approach Lights, Radio: Uconnect 4 w/7" Display, Radio w/Seek-Scan, Clock, Speed Compensated Volume Control, Aux Audio Input Jack, Voice Activation, Radio Data System and Uconnect External Memory Control, 6-Way Driver Seat -inc: Manual Recline, Height Adjustment and Fore/Aft Movement, 6-Way Passenger Seat -inc: Manual Recline, Height Adjustment and Fore/Aft Movement, Manual Anti-Whiplash Adjustable Front Head Restraints and Manual Adjustable Rear Head Restraints, Sentry Key Engine Immobilizer, 3 12V DC Power Outlets, Dual Stage Driver And Passenger Front Airbags, Curtain 1st And 2nd Row Airbags. As always, we appreciate the opportunity to earn your business! Call us to schedule a test drive at 251-246-7224! When you buy, buy at Brooks! Check out this 2018 JEEP COMPASS LATITUDE ! Option and features include: ENGINE: 2.4L I4 ZERO EVAP M-AIR W/ESS as well as 3.502 Axle Ratio, Front-wheel drive, 13.5 Gal. Fuel Tank, Perimeter/Approach Lights, Fully Automatic Aero-Composite Halogen Daytime Running Headlamps w/Delay-Off, Front Fog Lamps, 6 Speakers, Streaming Audio, 2 LCD Monitors In The Front, Full Floor Console w/Covered Storage, Mini Overhead Console and 2 12V DC Power Outlets, Sliding Front Center Armrest w/Storage and Rear Center Armrest, 2 12V DC Power Outlets, Dual Stage Driver And Passenger Seat-Mounted Side Airbags, Tire Specific Low Tire Pressure Warning, Dual Stage Driver And Passenger Front Airbags, Curtain 1st And 2nd Row Airbags. As always, we appreciate the opportunity to earn your business! Call us to schedule a test drive at 251-246-7224! New vehicle pricing includes all offers and incentives. Tax, Title and Tags not included in vehicle prices shown and must be paid by the purchaser. While great effort is made to ensure the accuracy of the information on this site, errors do occur so please verify information with a customer service rep. This is easily done by calling us at 251-262-6350 or by visiting us at the dealership.